The Essar Oil UK Group of companies has announced the acquisition of a number of assets from BP to further strengthen the company’s logistics infrastructure network, which will fuel its growth ambitions in the UK. Under the agreement, Essar will acquire an equity stake in the United Kingdom Oil Pipeline (UKOP), a share of the contractual joint venture (with Shell) which runs the Kingsbury Terminal and a 100% interest in the Northampton Terminal. The estimated value of this deal is around USD150 million. The UKOP, a 650-kilometre oil products pipeline opened in 1969, connecting the Stanlow refinery which was at that time owned by Shell and the Shell Haven refinery which closed in 1999. 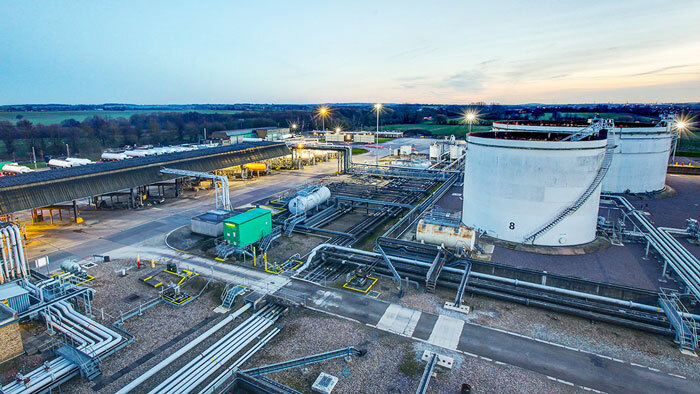 The UKOP system supplies fuel to Heathrow and Gatwick airports and stretches from the Stanlow oil refinery in the north west of England to the Coryton Refinery on the Thames in Essex. BP sold the Coryton Refinery to Petroplus in 2007, but ceased production in June 2012 after Petroplus filed for Bankruptcy in January 2012. The pipeline is administered and operated by the British Pipeline Agency (BPA), which is jointly owned by Shell and BP. In 1983 the pipeline had to be shutdown and was not brought back into operation until 1984. In 1985, the UKOP pipeline from Kingsbury to Buncefield was commissioned. UKOP transports 7.5 million tonnes of mixed products each year distributed to major oil terminals at Buncefield and Kingsbury, with spurs to Northampton and Nottingham. UKOP carries two grades of petrol-gasoline, two grades of kerosene (including Jet A-1) and two grades of gas oil-diesel. Essar Oil UK has broadened its downstream integration, with 67 Essar-branded UK retail sites already operational across England and Wales. The company has confirmed plans to grow its network to 400 retail sites over the next five years. Already a significant player in the wholesale supply of Jet A-1 to major UK airports, the company has successfully entered the market for the direct supply of aviation fuel, signing agreements with a number of leading international airlines and continuing to grow this sector of its business. This latest expansion of its UK interests means Essar has now invested nearly USD 1 billion in building a profitable and sustainable UK business, since first acquiring the Stanlow Manufacturing Complex from Shell in July 2011. Stanlow produces 3 billion litres of petrol, 4.4 billion litres of diesel fuel and 2.1 billion litres of jet fuel per year. “Essar continues to have great faith in the UK market, which represents an important part of the group’s strategic business growth ambitions,” said Essar Oil UK Chief Executive Officer, S.Thangapandian. “Essar will continue to play a key role in keeping Britain on the move. It currently supplies over 16% of the UK’s road transport fuel demand and this agreement will enable us to improve our competitiveness. In a rapidly changing landscape, it is critically important we stay competitive through constant business development and innovation,” Thangapandian said. Essar will continue to look for opportunities to expand inorganically, provided the acquisitions are long term value accretive and complement Essar Oil UK’s growth plans, the company said. Essar Oil UK is a portfolio business of Essar Global Fund Limited (EGFL), an Indian conglomerate group based in Mumbai, India. The group sold its Indian oil assets under Essar Oil, to Russian energy major Rosneft but is looking at the UK market for expansion. EGFL is a global investor controlling a number of world-class assets diversified across the core sectors of energy, infrastructure (comprising Ports and EPC businesses), metals & mining, and services (Shipping, IT and Retail businesses). EGFL invests long-term capital into its portfolio businesses and holds nearly a 100% stake in all its investments. The portfolio businesses have aggregate revenues of about USD11.5 billion and employ more than 4,500 people. VARO Energy acquires Inter Oil B.V.